Founded in 1980 by internationally renowned businessman Bicky Chakraborty, Elite Hotels of Sweden is a first-rate hotel group and the country’s largest privately owned hotel chain. Today consisting of 27 high-quality four- and five-star hotels, Elite Hotels’ portfolio promises excellent accommodation in carefully restored buildings that stay true to their unique roots and history. With an ambition to unite classical style with modern trends, Elite Hotels offers an experience that goes above and beyond what even the most discerning business travellers have come to expect. 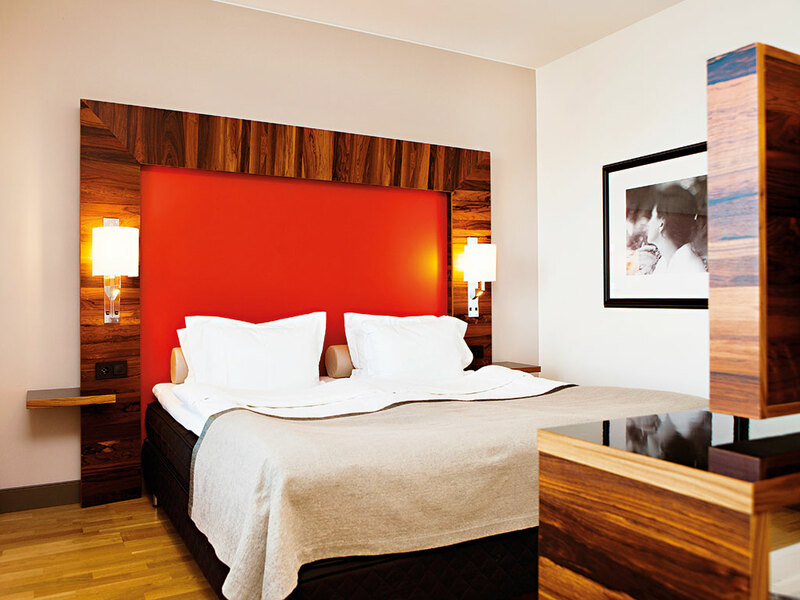 Elite Hotel Marina Tower is located on Stockholm’s stunning waterfront just a few minutes away from the city centre. 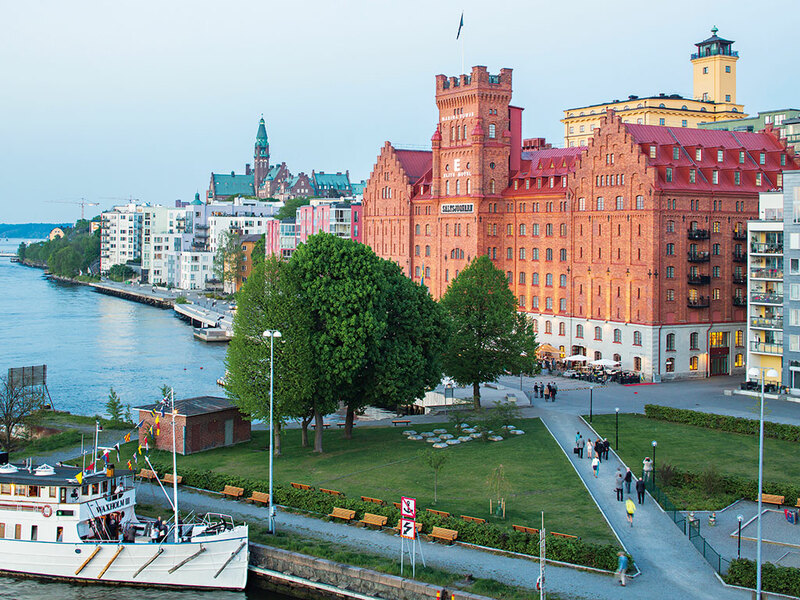 Offering fantastic views of the city along with endless possibilities for meetings and events, the hotel provides the perfect setting for any traveller, whether they are visiting Sweden on business or for leisure. Dating back to 1890, the building in which Elite Hotel Marina Tower is situated was originally the largest steam-driven mill in Scandinavia. In 2007, the careful restoration of the building saw the original exterior being vigilantly preserved, while the former mill’s interior was given an impressive new look. Elite Hotel Marina Tower was inaugurated in 2010, and quickly became the new flagship hotel of the Elite Hotels of Sweden group. Offering 186 tastefully decorated rooms and suites, many of them with stunning sea views, the hotel provides spacious, charming and warmly decorated accommodation, with carefully selected materials and colours used throughout in order to guarantee the perfect location for work and rest alike. The possibilities for meetings and events at Elite Hotel Marina Tower are endless. The hotel offers 13 meeting rooms – the largest of which can host up to 400 guests – which are collectively able to accommodate events ranging from board meetings to grand gala dinners. Furthermore, at the top of the hotel’s distinctive tower building is its exclusive Tower Suite; a perfect setting for smaller events and special occasions. From the suite’s private roof terrace guests can enjoy spectacular views of the city and the boats serenely passing by on the adjacent waters. Uniquely, the hotel also allows smaller groups to charter its own private boat, the Marina Tower II. This exclusive opportunity grants guests access to Sweden’s magnificent archipelago; a collection of more than 30,000 islands, some of which are situated within mere minutes of the hotel. Day trips on the Marina Tower II can encompass a variety of adrenaline-fuelled teambuilding activities, including speedboating, regattas and spectacular seal safaris. However, for those with limited time in the city, pre-dinner drinks at Stockholm’s famous Abba museum followed by a meal in the shadow of a 17th-century warship at the Vasa Museum are also on offer. The hotel’s own restaurant, Marina Tower, offers a sublime gastronomic experience with influences drawn from France and Italy. Many people gather in the restaurant at the weekends, when there are a selection of fantastic menus on offer, and during the winter when a traditional Swedish Christmas buffet is open. Every morning a generous complimentary buffet is served to hotel guests, which can be enjoyed on the beautiful outdoor terrace during the summer months. Visitors to the hotel will also have access to Sturebadet Marina Tower, Sweden’s most exclusive spa and health club. The centre’s philosophy is based on offering guests renewed vitality through exercise, spa treatments and nutritional counselling. Sturebadet offers a relaxing atmosphere, complete with a gym, pool, Jacuzzi, sauna and Turkish Hamam. Whether guests are seeking a relaxing weekend, a memorable family holiday or a sophisticated environment in which to conduct a business meeting, they will find each and every need met at Elite Hotel Marina Tower.